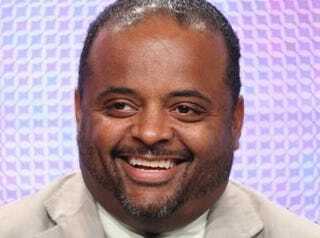 In a blog entry at Racialicious, Managing Editor Arturo R. García evaluates the Roland Martin Super Bowl Twitter debacle. He takes Martin to task for making the comments in the first place but raises the specter of a double standard at CNN. He says the cable news network apparently failed to judge some of Martin's co-workers as harshly for displaying similar bad judgment. The only surprise was how long it took CNN to suspend contributor Roland S. Martin after the uproar he instigated during the Super Bowl this past Sunday. What’s not surprising is who hasn’t gotten the same punishment for similar offenses. … In short, it’s not too much to hope that Martin makes some updates to “Roland’s Rules” soon. But it’s also not too much to ask that CNN show some consistency in enforcing its own. Read Arturo R. García's entire blog entry at Racialicious.